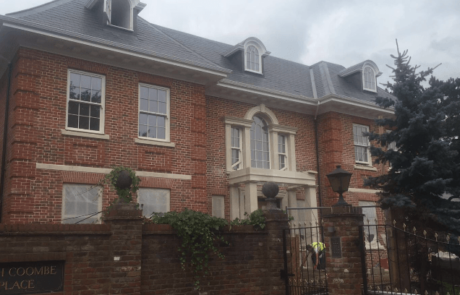 Looking for Aluminium Guttering for your next project ? The Aluminium Guttering Company are one of the UK’s leading suppliers and installers of aluminium rain water gutter systems. This type of gutter is fast becoming the industry standard. Superior in its durability and aesthetically pleasing, our gutters come with a market leading 30 years backed guarantee. We provide the markets only approved seamless aluminium gutter which conforms to the (British Board of Association). 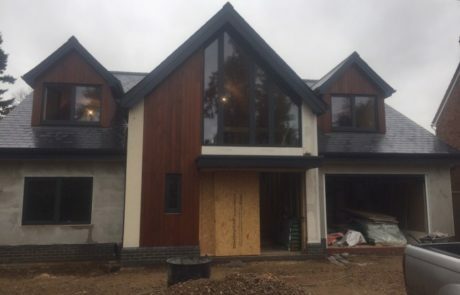 In addition, we supply and fit barge boards, cladding, fascias and soffits to suit properties of all age and type. You can see some recent projects below and more on our portfolio page. Aluminium is an incredibly strong, lightweight metal that has proven to be a great choice for guttering. It can handle snow and rain without rusting. In fact, exposed aluminium won’t corrode at all with weathering or water damage. Instead, it oxidizes and forms a more powerful barrier against corrosion. We can also use a polyester powder coated finish that looks and feels like iron. Maintenance Free – no need for painting, or repairing and no seams mean no potential for leaks. 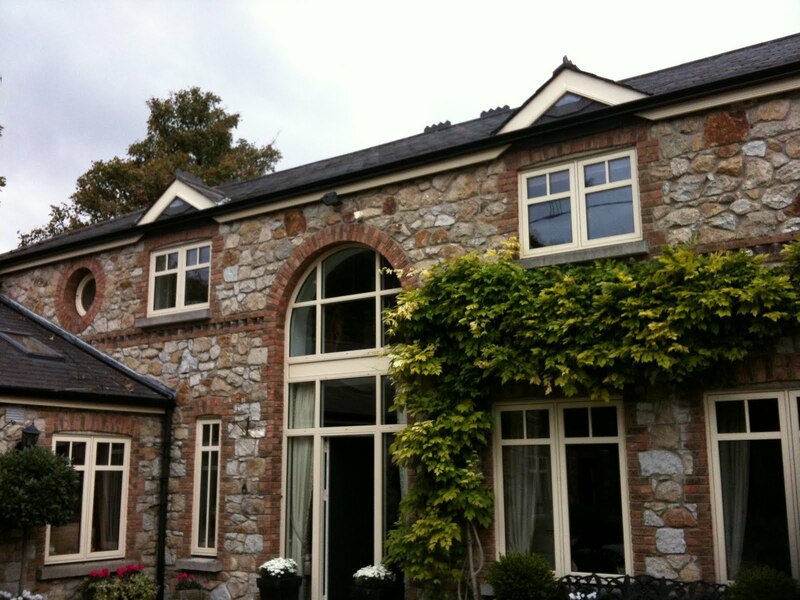 Great looks – who would have thought guttering could look so good. Environmentally friendly – we use 90% recycled aluminium of the highest grade. Durable– Lightweight, strong, resistant to corrosion; life expectancy is well in excess of 35 years. If you want a guttering system that’s affordable, comes in a variety of styles and looks great then Aluminium should be top of your list. This construction means it’s also totally maintenance free – who doesn’t want that? We offer guttering in contemporary and more classic cast iron effect finishes. 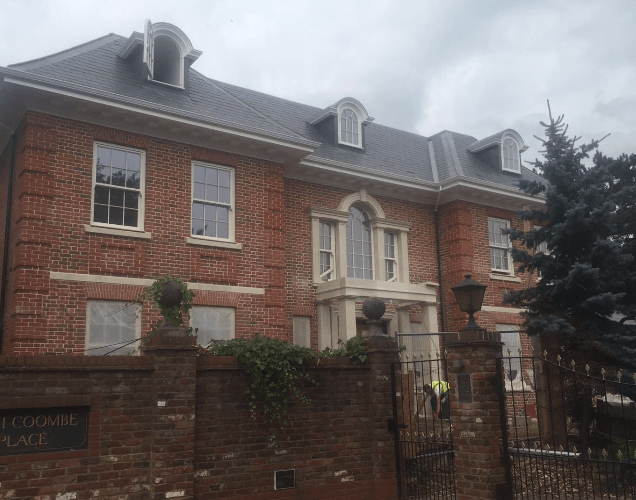 How much does Aluminium Guttering Cost? Because every property is different, and costs are dependent on the lengths and fittings required, why not ask for a free quote? As we manufacture and cut directly on site, you can be rest assured we are one of the best value contractors around. 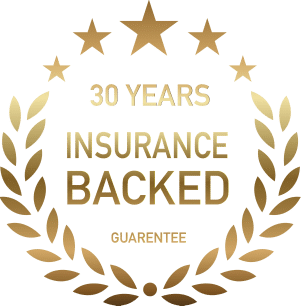 And as with all our installations you get our unique 30 years guarantee. 125mm x 90mm – 90mm being the back edge height 125mm being the catchment area. With this size of gutter this is the recommended size for residential properties. 150mm x 130mm – 120mm being the back edge of the height and 150mm catchment area. With this sizing of gutter we would normally be used on commercial and industrial properties, such as schools, garages, office blocks etc. Our customers love our Ogee profile, but we do have one of the most diverse profile selections on the market today so you can make your rain water channel system truly unique among your neighbours. 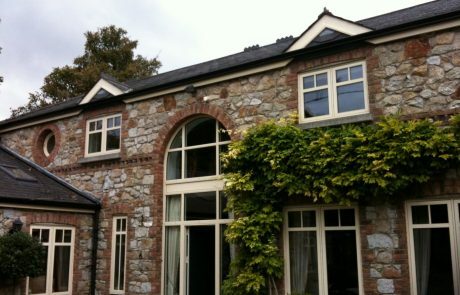 Available profiles include half round and box style gutter. Every gutter and sluice that we produce is roll formed on-site, manufactured between 2.0 and 2.5. The manufacture of these extruded gutters are far superior to anything else on the market so you know that you are getting a high quality system when you order from us. All of our aluminium alloy gutters are totally seamless, up to 30 metres, and this means no joints. Leaks and drips are a thing of the past, so no more random splashes on the head as you pass underneath and no more annoying ‘drip, drip, drip…’ when you are trying to sleep! For total customisation, we also provide a range of coats and finishes for all of our aluminium guttering products. 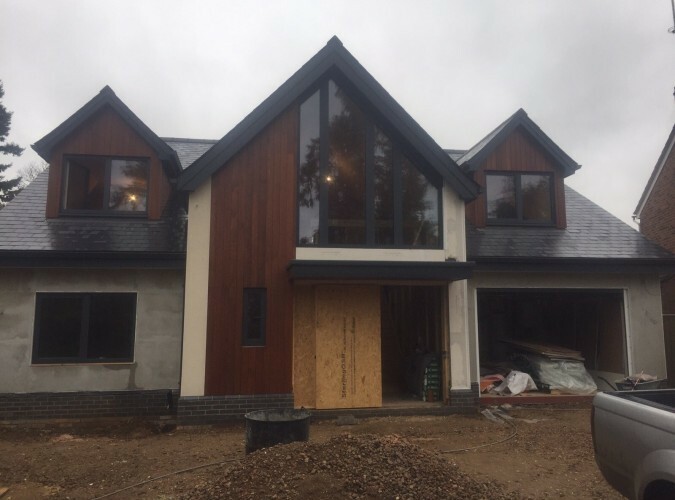 Right now our most popular colour is anthracite but our range is wide enough for to find the absolute best colour for your rain catchers so they match your home perfectly. We work with a variety of clients from all sectors. Including: Homeowners, roofers, property developers, architects, and local authorities. Excellent value for excellent service – it’s something that we always strive for in providing exceptional quality guttering to take care of that rain water runoff in style! Contact us for a free no obligation quote today or even some advice about your existing system.